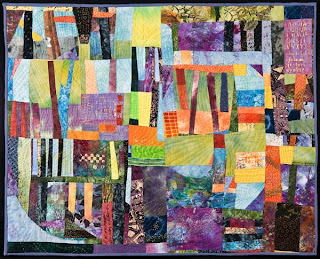 The Quilters' Connection 32nd annual quilt show will be held Friday through Sunday May 29–31, 2009 at the Arsenal Center for the Arts in Watertown, MA. The exhibition displays over 200 quilts all by local artists and many of which are for sale. The quilts range from classic to cutting edge. Upstairs, the Boutique offers items made by guild members. You can take a guided tour and watch demonstrations of quilting techniques. Talk to local artists about their work, or bring qu estions about yours. A fabulous raffle quilt designed and made by guild members will be on display, and raffle tickets will be on sale for $1 each for the Sunday drawing. For more info e-mail: quiltshow@quiltersconnection.org. 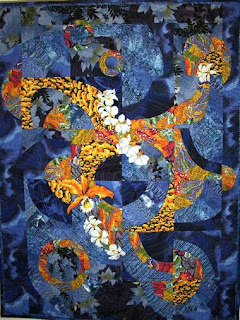 Linda, your To The Sea quilt is gorgeous! I LOVE it! Sounds like a great event!